Your head is pounding. Your sinuses are congested. So you go to the medicine cabinet and push aside bottles and boxes until you find it – the stuff that really works. You pop the pills out of their shiny foil bubbles, down them with a glass of orange juice, and go to bed. When you wake up, like magic, you feel better. It’s doubtful you give any thought, as you’re lying sick in bed, to the way new medicines like your magic cold remedy are discovered. But you would probably be glad to know that today’s biochemical technology is making the process of finding new drugs faster than ever before. A prime contender in the drug discovery race is Albright alumna Jacquelyn Fetrow, Ph.D. ’82, chief science officer of GeneFormatics. 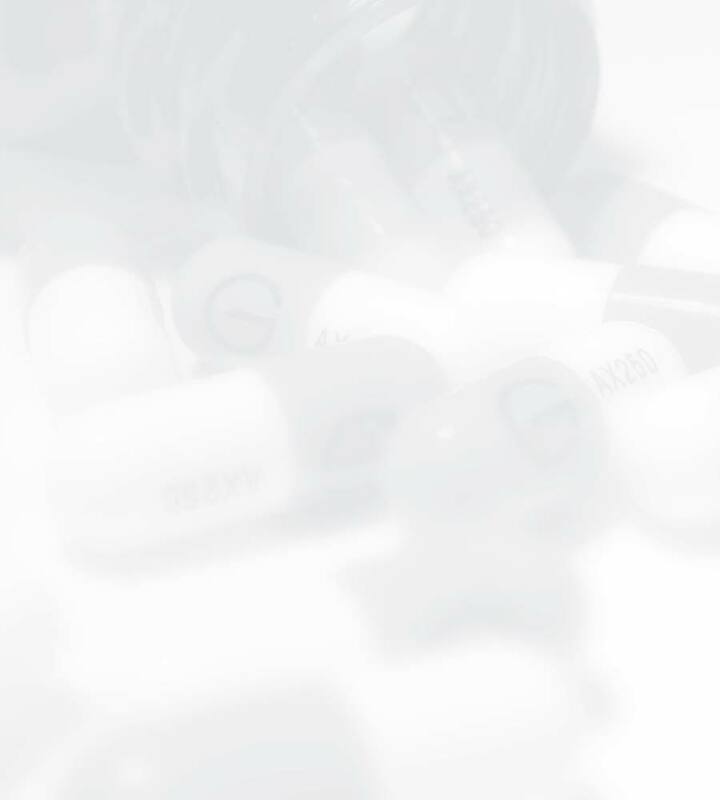 The company, launched in 1998, is devoted to identifying potential new drugs. 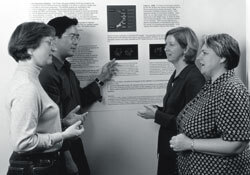 In 1997, while on sabbatical from her teaching position at the University of Albany in New York, Fetrow went to work at the Scripps Research Institute. There she and fellow researcher Jeffrey Skolnick talked about finding a way to identify the functional sites on proteins—that is, the specific spots on proteins that allow them to perform their particular function, whether it be digestion, immunity, etc. Once such sites are identified, researchers can begin to look for small molecules that will bind to those sites, modulating them in some desired way. Isolating the molecules or compounds that have the intended effect on proteins is the essence of discovering new drugs—like your cold medicine. With the help of the institute’s computational group and a lot of hours spent at a computer, Fetrow and Skolnick began their quest, bouncing the work back and forth between the two of them. "One of us would write a program or script, then the other would look at it." Within six to eight months, they had succeeded in identifying functional sites. Almost immediately, inquiries began to arrive from commercial entities interested in this new technology. Fetrow and Skolnick teamed up with two other colleagues to write a business plan, and GeneFormatics was born. With investors like Merrill Lynch Ventures and IBM on board, the company soon opened its headquarters in San Diego and an engineering facility in Harrisburg. Fetrow says her Albright education was instrumental in preparing her for a career on the cutting edge of the biotech industry. "When I went to college, I knew I wanted to study science, but I didn’t know if I wanted to go into biology or chemistry," she recalls. But at Albright she discovered that she didn’t have to choose. Albright’s interdisciplinary program in biochemistry seemed like a good fit. After graduation, Fetrow went on to study at the Hershey Medical Center and earn her Ph.D. in biochemistry from Pennsylvania State University. In 1990 she joined the faculty of the University at Albany in New York where, remembering her Albright experience, she developed and served as advisor to a new biochemistry program. Fetrow’s research at the University of Albany focused on the relationship between the structure of proteins and their function. Fetrow is quick to credit her team of colleagues for GeneFormatics’ successful beginning. "I think the complimentary expertise we brought to the team was crucial in getting funding and building the company." She also gives a nod to her influences at Albright, citing Morgan Heller and Frieda Texter as mentors. She says, "Dr. Heller had a way of making even people who didn’t like organic chemistry think it was fascinating." Texter served as biochemistry department chair, friend, and role model. As a young woman entering a scientific field, Fetrow says she didn’t think twice about gender issues while at Albright. She says of Dr. Texter, "She was there, so I thought I could do it as well." And she certainly has. In her dual roles as chief science officer and member of GeneFormatics’ board of directors, Fetrow helps to establish a vision for the company, setting the goals, priorities, and budgets for the various scientific departments and communicating their progress to the rest of the management team. Every few weeks, she travels to the company’s engineering facility in Harrisburg where she recently spoke at the launch of the Central Pennsylvania Biotechnology Greenhouse. Fetrow explains that the Greenhouse will "match people with money and money with people," to support development of the biotechnology industry in the state. Such funding will provide a head-start for other academics to follow in the footsteps of GeneFormatics. "You can’t work in a vacuum." Fetrow says, "You need that catalyst." 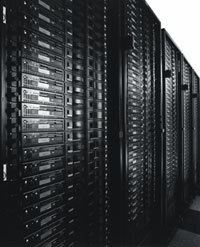 Today the technology pioneered by GeneFormatics continues to evolve. After using the Fuzzy Functional Form to identify the functional sites on a protein, the research team is now able to identify a set of small molecules or compounds that might modulate that protein’s function. This information is then taken into the laboratory for testing to find if these substances do in fact interact with the protein and how well. Data from these tests are then returned to the computational side for further analysis, and so on. "Once you have a molecule that inhibits a protein, that’s a lead," Fetrow explains. This summer for the first time, researchers at GeneFormatics successfully carried out the entire process from site identification to the generation of a new drug lead. This will then be licensed to a pharmaceutical company for further testing and possibly eventual drug manufacture. Finding those pharmaceutical partners is another of Fetrow’s current priorities. In an uncertain economy, she points out the importance of teaming up with the right technology consumers to create a solid base and move GeneFormatics forward. "In the current market, no biotechnology company is growing steadily," she says. "Surviving the market will require conserving cash and finding the right partners." Merger and acquisition opportunities are another possible source of growth in the company’s future. To Albright students thinking about their future, Fetrow says, "To be really marketable, you need to not be narrowly focused. Albright is a good place to do that because of its liberal arts environment." Fetrow is clearly following her own advice when she says that success depends on continuing to learn throughout your life. "I found myself in business. I thought I’d be an academic till I died." Fetrow says she has found great satisfaction in turning her knowledge of science into a business that will help people. "Drug discovery is about trying to benefit people, " she says. Anybody who has ever rummaged through their medicine cabinet for something to soothe that awful cold will certainly agree.